I/we don’t have a Catholic Worker job description that details how we go about a practice of faithful discipleship, one that moves in the direction of the spiritual and material liberation of those whom we serve every day. So we have to be creative. And we have to be inspired. One day a couple of years ago I had a flash of enlightenment. I realized that what I really wanted was not Pima County Interfaith Council organizers, but serious, dedicated revolutionaries. The organizers here, Jimmy Ojeda, Cesar Aguirre and now Gilberto Contreras have generally agreed with this sentiment. What followed has been a series of experiments meant to be small initial steps towards the liberation of our people. These have included things like the Bus Riders Union membership campaign to avoid bus fare increases, organizing to keep public schools open and thriving and together as a larger community, studying the Joy of the Gospel, by Pope Francis. 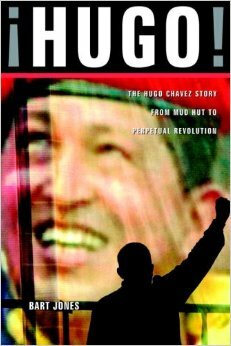 Now so as to be more inspired, we at Casa Maria have embarked on reading together “The Hugo Chavez Story: From Mud Hut to Perpetual Revolution”, by Bart Jones. Maybe Catholics and Christians owe it to themselves to check this guy out because his life of self-sacrifice for and with poor people tends to put most of them to shame. We are discussing it 5 chapters at a time on Friday evenings. It’s exciting and relatively easy to read. We have some extra books if anyone is interested.